We've heard of chefs making their own plates to suit their dishes. But Chris Henderson has the opposite brief: creating food to complement the tableware. 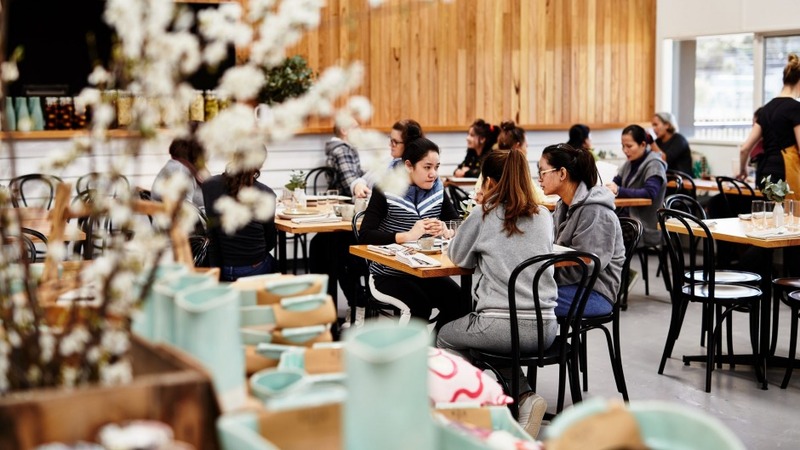 Henderson, previously head chef at events company The Big Group, has taken charge of Robert Gordon Kitchen, the cafe at one of the country's largest ceramics manufacturers, Robert Gordon Pottery in Pakenham. The cafe takes up one side of the hangar-sized factory outlet, with a semi-open kitchen and timber tables set with the family's pottery. A striking David Bromley painting of the Gordons dominates one wall. The remaining space is devoted to stylishly displayed homewares, many made on site, with one corner set aside so adults and children can paint their own pieces. 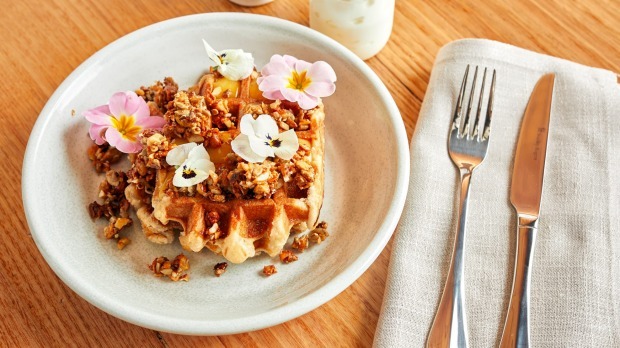 Henderson's menu has been designed to suit all ages and appetites, from a wholesome acai bowl with granola and berries to an outrageous bowl of waffles with lemon curd and ice-cream. But you get a sense the Englishman has put his heart into the Proper Bacon Sandwich, which comes on lightly toasted sourdough, with salted butter and HP Sauce. The pottery opened in 1945, when founder Robert Gordon supplied the original Florentino restaurant in Melbourne. 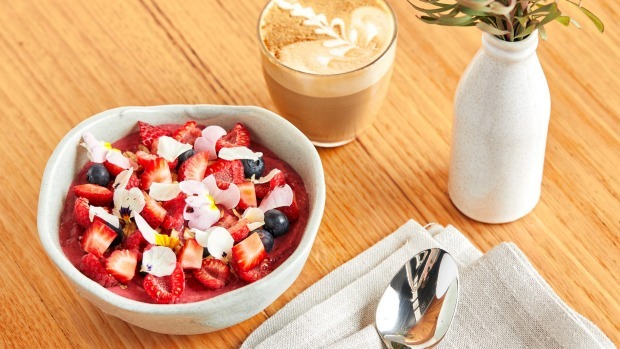 Today, the family's third generation are still heavily involved in the business, which supplies stoneware to some of Australia's best-known restaurants and cafes, including Vue de Monde, Longrain, Top Paddock and Grossi Florentino.